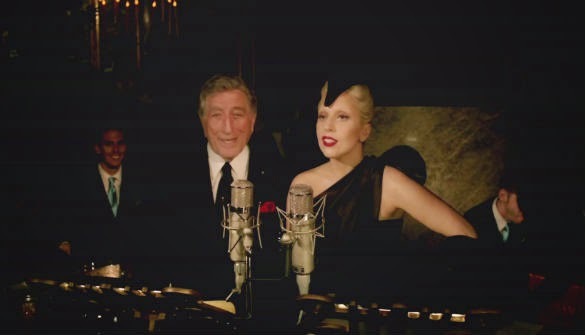 Lady Gaga and Tony Bennett want to sing their latest news from the mountaintops. But since they were in New York City, they had to make do with the top of 30 Rockefeller Center. The pair announced their jazz album atop the GE Building on the “Today” show on Tuesday morning (July 29). The album, dubbed Cheek to Cheek is out September 23, and Mother Monster, in slicked back, dark hair and dramatic retro makeup, said the album was organic. While Bennett is associated with jazz, the genre isn't what Gaga is known for. But before she climbed to fame with her pop music, she admits that she grew up singing jazz classics.